The U.S. Department of Veterans Affairs (VA) guarantees the payment of home loans for eligible veterans. The guarantee permits veterans to finance their homes with 100 percent (zero down payment) loans. As with any mortgage, lenders foreclose when VA borrowers fail to make their payments and fail to enter a workout/VA financial counseling program. In exchange for a loan payoff from VA, lenders return the foreclosed homes to VA, which then tries to sell them as quickly as possible. VA sells through a sealed bid process. As either a potential homeowner or investor, you may submit multiple bids during the same bid period. 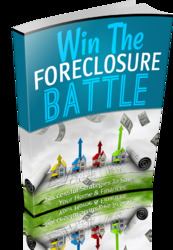 You cannot directly negotiate with or submit a bid to VA. You must submit your bid through a VA-approved real estate agent (your foreclosure pro). VA sells its properties on an as-is basis. Even though it may disclose a property's defects, VA warrants nothing. Buyer be aware. VA does guarantee title and permits buyers to obtain a title policy. VA accepts bids that yield it the highest net proceeds (not the highest price). If your bid reduces VA's closing expenses or realty commission, you can win the bid over others who offer higher prices. Just as HUD/FHA charges FHA buyers an insurance fee, VA charges buyers (who finance viaVA) a guarantee fee (currently 2.25 percent, but subject to change). For borrowers who put more of their own cash into a deal, VA charges a lower fee. VA accepts bids only on VA forms. Errors in completing the forms may kill the bid. VA may publicize its properties through newspaper ads, broker lists, and Internet postings. Follow the links from hud.gov. Local VA offices report to regional directors who may issue procedures that differ from other regions throughout the country. VA may choose to keep your earnest money deposit if you fail to close your winning bid for any reason—other than inability to obtain financing. As with HUD contracts, VA does not permit a bid contingency for property inspections. You may, however, inspect a property before you bid. When necessary, VA evicts holdover tenants or homeowners before it markets its REOs. At closing, you will receive a vacant property. VA does not give homebuyers preferred treatment. VA accepts the highest net proceeds offered by any credible buyer—homeowner or investor. VA offers investors favorable terms of financing. In my area, for example, investors can close financing on a VA home with total cash out of pocket of less than 6 percent of a property's purchase price. In addition, VA typically applies relaxed qualifying standards. VA buyers (who need not be veterans) must show acceptable, not perfect, credit records. For REO listings and procedures, talk with a foreclosure pro or follow the link to VA REOs from the hud.gov web site. High leverage permits you to accelerate your wealth-building returns. Even at market prices and high LTV, many VA properties pull in rents high enough to provide a positive cash flow from day one of ownership. The VA allows future buyers to assume your VA financing. For buyers who want to "fix and flip," an assumable loan makes a great benefit. Plus, in periods of high interest rates, a lower assumable VA rate gives your sales efforts a competitive edge over other properties. VA provides an excellent source of properties and financing for home-buyers and investors alike. If you're looking for a great deal, regularly scroll through the listings of VA REOs.